MJ Optical is a wholesale optical lab in Omaha, Nebraska. We have been family owned and operated since 1963. As one of the leading, and few remaining, independent optical labs in the country, MJ Optical Lab is equipped to handle your every need, and delivers every order with a personal touch. Not only does MJ Optical provide our wholesale optical customers with the highest quality products, you won’t beat our fast turnaround and quality service. We are dedicated to fulfilling your wholesale optical needs with accurate prescription lenses, frames and coatings at reasonable price points. Our dedicated service team is known for ensuring order accuracy with fast turnaround. MJ Optical lab managers have many years of experience. MJ Optical technicians pride themselves on quality control with a comprehensive testing process. Every order is inspected against our rigorous standards for lens properties, finish adhesion, color hue and durability, so you can be sure your customers receive the highest quality lenses and frames available. MJ Optical lab specializes in custom lens designs: from unique shapes, to all types of safety lenses, sports lenses and sunglasses frames. Our high-speed lens finishing and surfacing tools are specifically designed for working with modern lens materials. Our wholesale lab uses advanced technology for precise lens sizing, polished edges, and advanced beveling. Digital surfacing and state of the art milling tools give MJ Optical the capability to manufacture wholesale lenses at a much higher degree of precision compared to traditional surfacing methods. MJ Optical offers a wide variety of popular brands with fewer restrictions on cost. 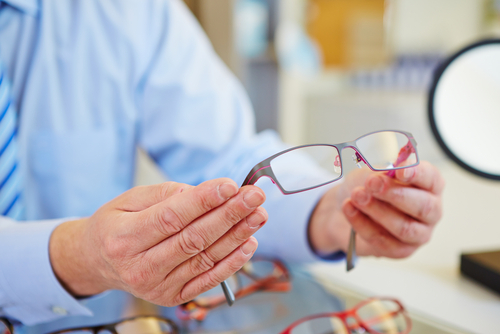 We represent a number of wholesale optical frames and wholesale eyeglass lenses, which allows you more choices at a better price than the competition. Being a leading, independent wholesale optical lab means MJ Optical is not committed to specific brands or shareholder demands. We are able to deliver a broad selection of wholesale lenses and frames with flexible price points - to help you keep the focus on your customer. Contact MJ Optical to order wholesale eyeglasses, frames and lenses from a family owned and operated optical lab you can trust.